Intense Brightening Serum for the correction of sun damage and pigmented skin. After 14 days, the complexion is luminous and even. Pigmentation is visibly minimised and the skins texture is refined. This serum contains pure Vitamin C that is added at the last moment to preserve its exceptional brightening properties. 1. Remove the ampoule of pure Vitamin C from its sachet and break off the upper tip. 2. Pour the contents from the ampoule into the bottle of serum and mix vigorously. 3. 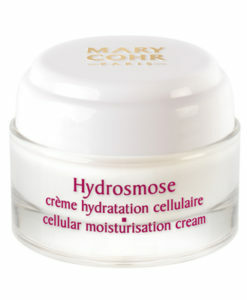 Apply to face and neck and gently stroke into the skin using fingertips, before applying your skincare cream. Apply morning and evening as a consecutive 14-day intensive treatment. This product contains pure Vitamin C, whose colour may vary over time. 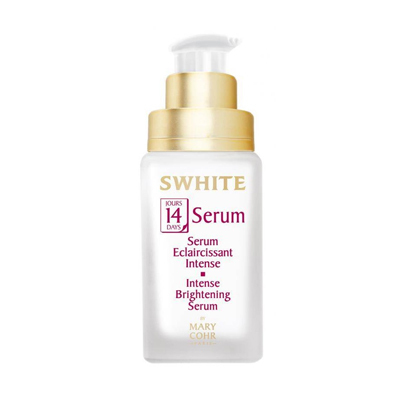 For optimal effectiveness, use the serum within two weeks of mixing the products together. – Melanoxyl: reduces the production of melanin induced by UV light and the initial amount of melanin. 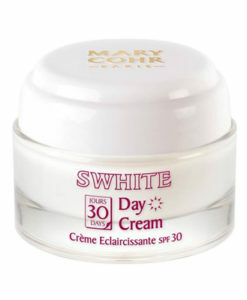 – Stabilised Vitamin C: visibly brightens the complexion and refines the skins texture.